I wish everyone could have heard the moving stories shared by two Augusta University alums at our annual Scholarship Brunch during Alumni Weekend in April. The lives of two young women, one who was working three jobs and living out of her car, were forever changed by the generosity of others. The compassion of those who shared of themselves provided the encouragement and financial means that allowed these dedicated students to pursue their educations and succeed in their lives. And after reading Michael Hall’s story on page 22, I’m certain none of these students will ever forget the help that got them through. When their time comes, I’m also certain they will do everything they can to improve the lives of others. This year, the school awarded almost $450,000 in private financial aid. That’s a lot of money. But the amount is small in comparison to the over $13 million our 334 students paid in tuition. And our tuition ranks in the middle of all U.S. dental schools. Some of our peer institutions in the Southeast award over $2 million in scholarships, and we need to compete. 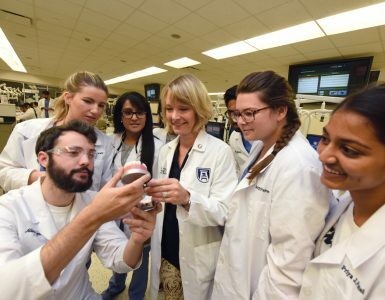 To continue attracting and enrolling the best dental students and maintain our status as a premier dental school, we must increase the number and amount of scholarships awarded. If someone helped you achieve your dream of attending dental school, won’t you think about giving back to those students who follow in your footsteps? Five years ago, we opened the finest dental building in the nation to provide what we believe is the finest education in the nation. Now it’s time to focus on the people who fill that building. 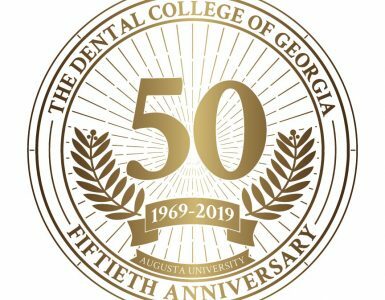 Dr. Gerard Chiche, director of The Dental College of Georgia’s Ronald Goldstein Center for Implant and Esthetic Dentistry, has pledged a $100,000 gift over the next five years to advance the mission of the center. 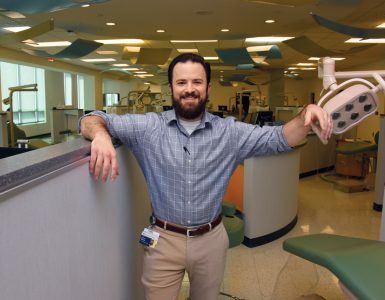 Citing the DCG’s emphasis on academic professionalism and a wholehearted commitment to second-to-none resources, Chiche felt an immediate kinship with the center he was recruited to oversee: the Ronald Goldstein Center for Implant and Esthetic Dentistry. The center uses porcelain veneers, all-ceramic crowns and implants to improve smiles with techniques ranging from minor procedures to extensive full-mouth reconstruction. 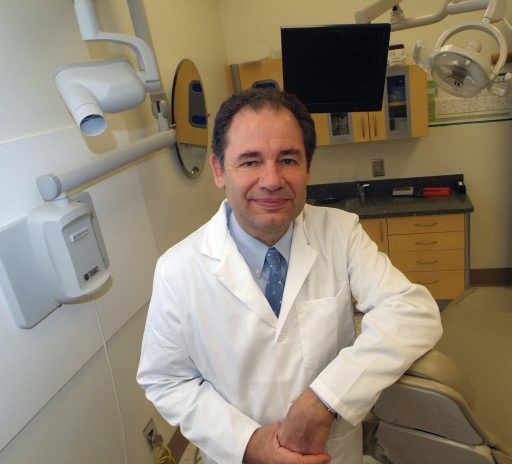 Chiche directs the Oral Rehabilitation Program and holds the Thomas P. Hinman Chair of Restorative Dentistry. 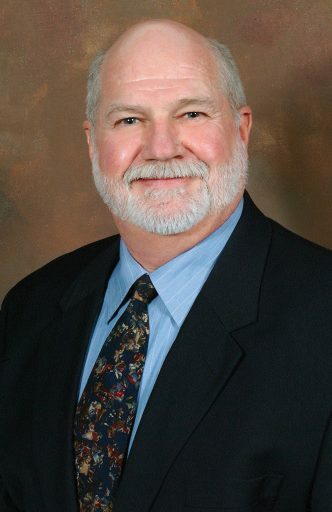 He is a past president of the American Academy of Esthetic Dentistry. Chiche has written and co-written several textbooks related to esthetic dentistry, including Esthetics of Anterior Fixed Prosthodontics; Smile Design: A Guide for Clinician, Ceramist, and Patient; and Essentials of Dental Ceramics: An Artistic Approach. Zumax Medical Co., LTD, a medical instrument company that designs and manufactures diagnostic products, has donated 12 microscopes valued at more than $140,000 to the Department of Endodontics. “These high-quality microscopes are superb,” said Dr. Franklin Tay, chairman of the department. 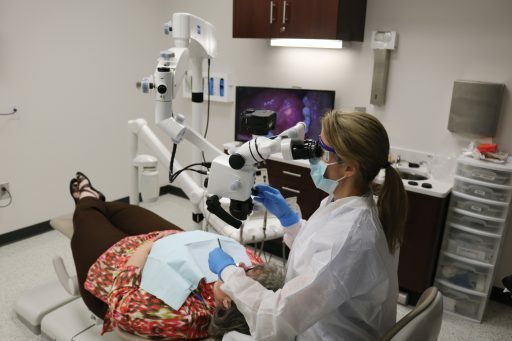 “They are very, very useful in learning particular aspects of endodontics (the dental specialty devoted to the soft inner tissue of teeth).” Tay noted that the microscopes will be used as teaching tools for students, residents and continuing-education participants. Two of the microscopes are clinical microscopes, which are portable, and the others are tabletop models. All feature high-definition screens. The microscopes are already operational, and the gift will include installation of a three-dimensional system.